For anybody who has regularly visited the ECA office recently, the transformation of a business park has been dramatic over the past few months. Since this is a “soapbox” and I write opinions, I feel inclined to do so about this situation. We are not alone. Drive down to Jack London Square in Oakland and you pass under an elevated freeway that has become the “roof” for hundreds, if not thousands, of people camping in various ways. Some sleep with no tent, some sleep in cars, some sleep in RV’s that do not look like they have been “roadworthy” since the early Cheech and Chong movies. Los Angeles has homeless that live on median strips, offramps and onramps. Go to Sacramento and the aggressiveness of the homeless asking for a handout will make even the staunchest amongst us question our safety at stop lights as homeless guys bang on your window and roof and DEMAND a handout. Now that the homeless encampment has arrived right at our front door on Apollo Way, I have a somewhat different attitude. These people do not want to be in shelters because shelters have rules. And the rules these folks do not want to abide by, is that they cannot do drugs or drink if they are housed in shelters. Oh, you will hear lots of other stories-I just read one in the Press Democrat about a woman that has a sleep disorder and she does not want to disturb other sleepers in the shelter so that is why she does not go to the shelter. What? Come on. I am calling her bluff. She is concerned about other sleepers in a shelter, yet she has no problem being concerned about folks working in a business park having to deal with garbage, feces and needles all over the place? What horsecrap! So, what is the answer? The answer is that these folks have some smart people supporting them and those smart people know how to play the system. Ask these “campers” what they want, and they will invariably tell you they just want a safe place to camp where nobody bothers them. I say that is only true if we taxpayers foot the bill to also furnish these folks with infrastructure that enables them to wash themselves, flush toilets, and have regular garbage pickup (and by the way, the garbage pickup must include going around picking up all their crap they are too lazy to put into a trash can themselves!). As you can probably tell, I am not as sympathetic to these folks as I once was. When I drive down the street in front of our ECA office now and stare at a mess, I get yelled at “what are you looking at? This is our home!” When did a public street become somebody’s home? Give them an opportunity to clean up, sober up, and find some work that makes them a productive member of the community. For that, they get a place to stay-nothing fancy, 200sf apartment, and they get to stay there as long as they do their work, they get to come and go as they please, and they have to adhere to being clean from drugs and abide by the rules of the property. If they can’t do that, they get booted out. This will entail a massive infusion of mental health and physical health workers to assist these folks in getting cleaned up. Where does that money come from? From the companies that are making the opiates these folks are hooked on. Pass a tax on oxy and other abused drugs. It cannot be that hard to figure out if one pharmacy in a town of 5,000 people is selling 50,000 pills a week, that the pills are not being dispensed properly. Book ’em Dano! If they choose the street or try the housing and get booted out, God help them. Now you have another housing system built, but it is behind fences and their ability to come and go is not by their choice. It is called a jail compound. Make it illegal to panhandle. Make it a crime to give them money and make it a crime to stand on a corner and ask for money. And enforce it. They get caught, they do a week in the #2 jail listed above. When they get out, they are offered a choice of doing #1 above, and if they can, they get a chance. If they cannot, they go right back onto the streets. Enforce no camping in public parks, on public streets, and enforce trespassing laws if they try to make camp on private property. Contractors that have equipment with exhaust engines should consider protecting themselves by getting new warning signs (www.P65Warnings.ca.gov) and installing them on their equipment. Many of you contractors already have warning signs that say “this product contains a chemical known to the State of California to cause cancer”. The new warning sign should say “this product can expose you to chemicals including arsenic, which is known to the State of California to cause cancer”. Because contractors must concern themselves with the workplace environment, they should protect themselves by putting the new warning signs up that address “can expose you” so that you are protected from a prop 65 enforcement action. There is a lot more to read about and check with your attorney/insurance risk person, but for now, this is the best advice the ECA can give you. If it exhausts, then put a new sticker on it!! Last week Art Diecke and myself sat through more than two days of candidate interviews and I will be presenting my (and Art’s) opinions to the Govt Affairs Committee and then to our Board for endorsements and contributions. The Board of Directors make the final call on this and then we let our Membership know who we recommend voting for. All in all, there were some woefully uninformed folks running and a few really good ones. Thanks Art for your help!! Our ECA Founders and subsequent Boards were wise to not get involved in “Labor Issues”. Sometimes, labor issues pit two sides against each other when both sides would win if they could focus on the “big prize”. Today the Santa Rosa City Council will hear arguments from well-meaning Leaders in our Community on the pros and cons of specific language inclusions in a proposed housing bond measure that will go before the voters in November. At stake is a $124 million housing bond measure funded by property tax assessments of $29/100,000 value on land and homeowners. The generated funds would be used to construct “affordable” housing, which some also refer to as “subsidized” housing and sometimes “workforce” housing. As we have come to realize with our self-taxation for road improvements, the “reward” for having a housing bond measure that is self-funded by local taxpayers is that it opens up the “spigot” for matching funds to come from the much larger State housing bond measure that is polling very well. The State housing bond measure is estimated to be a $2 billion “pot” that will be distributed back to local municipalities that have their own local housing bond measures in place. So, we would have to “pay to get paid”. The positives of a housing bond seem obvious at a time when we were in a housing crisis before losing 5,000 homes to the fires of October, 2017. The negatives, if special interest groups would not try to impose language into the Measure that serves their interests, would also be quite clear-that property owners would have to pay $29/100,000 of assessed value to fund a much-needed pot of money to be used to build affordable housing. But here is where it gets tricky. Labor unions are trying to get specific language included into the Measure that will enable more of the work generated to be done by signatory workers than if the specific language were not included. I have been involved in several of the meetings with labor leaders to see what they might include that would not create opposition to the housing bond. I tried to represent the ECA members that are both signatory and non-signatory in my comments at these meetings. The bottom line that I held to was that this housing bond is a tough sell to voters so any additional language or requirements that favor any group could doom the Measure. I understand labor wants to insert language that favors their rank and file. I also understand that labor believes they are asking for very little to be included in the Bond Measure language. The problem is idealistic. Those that believe inserting any language that advantages one group over another is a bad use of public money do not care if what labor is asking for is minor. The fact that they are asking for anything is a “line in the sand” for them. Behind the scenes, there have been lots of discussions/negotiations/compromises in an attempt to craft a Bond Measure that will not create opposition. It just might not be possible. Today’s City Council meeting will be one of the livelier in recent years. The outcome of a Housing Bond Measure that could open the spigot from the State may lie in the balance of the discussion this afternoon. I for one am glad we are not on the front lines on this one. If we opposed the housing bond, we could be criticized for not supporting a much-needed boost to housing starts. If we supported the Measure, we could be criticized for “selling out” to either pro-labor or anti-labor backers. My personal opinion has not changed-for the good of the many, some compromise by both sides seems to be the wise choice. Long Suffering Highway 101 Commuters Can See the End-ONE WAY OR ANOTHER! Since Regional Measure 3 was passed by voters on June 5, 2018, revenues from the increase in bridge tolls (all the bridges going over San Francisco Bay except the Golden Gate. Bridge) will combine with ongoing revenues from Senate Bill 1 (the fuel excise tax increase voters approved in 2017), and the Highway 101 widening and HOV lane construction could be completed as soon as 2023. That means all of the widening from Marin County through Santa Rosa could be wrapped up and completed within 5 ½ years from today! Amazing. What does this all mean to ECA members? The positive impact to completing all of the Highway 101 work cannot be overstated. Not only are “our guys” getting the work and employing the workers at high paying wages, but the rest of us will benefit from reduced traffic time to commute from Petaluma, Rohnert Park, Santa Rosa and beyond, into the San Francisco area. That is a huge benefit for businesses and for our communities. We cannot afford to lose this battle over SB1. The repeal of SB1 has had polling done and the polling shows statewide a lot of support for repealing the fuel tax measure. Should it be repealed, not only will Highway 101 work be impacted, but the various Cities and Counties that have to fix our roads will be devastated by the loss of revenue from SB1. The repeal of SB1 is a self-serving effort by the State Republicans to drive voter turnout up in November. Now most of you know I am a Republican, and here I am calling out the dumb and short-sighted tactics of our State Republican party. Yep. I am. This is a stupid and potentially disastrous repeal. Why do I say that? Let’s assume the repeal is successful-what happens then? SB1 fuel taxes will cease to be collected. Anybody believe that the gas and oil companies will voluntarily roll back the price for a gallon gas or diesel in California? If you do believe that, I have some of last year’s Exacta tickets to sell you. Local cities like Santa Rosa, already under tremendous financial pressure due to costs associated with the October wildfires, will probably have to cease and desist any and all work pertaining to resurfacing roads and building traffic improvements that have been planned for years (Hearn Avenue Overpass, Fulton Road reconstruction, etc., etc.). The County of Sonoma would continue to spend General Fund monies this year and next year at the current level of spending but would probably cut way back on any future General Fund expenditures as they would need a Measure M extension to pay for road fixes. 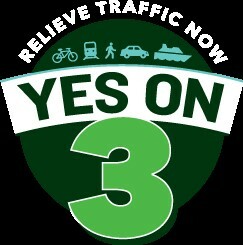 And if SB1 got repealed by voters, how likely do you think voters would be to pass a Measure M extension? Marin County would still build their Highway 101 widening project and HOV land construction in Southern Marin County, but the effectiveness of the HOV lane would be compromised by the inability to complete the Sonoma County section that was counting on SB1 funding (the stretch from Washington Street to Pepper Road which includes the Rainier Avenue underpass infrastructure work). So-what can we do? Employers cannot tell their employees how to vote, but they can include handouts with their company newsletters and paychecks that explain the facts about what SB1 revenues (or their lack therein) might mean to their communities. We need every one of our employers to be actively educating their workers about what the facts are about SB1. Hopefully, those workers are registered voters, and if not, employers need to get their employees registered to vote. WE NEED EVERY VOTE WE CAN GET TO DEFEAT THE SB1 REPEAL. I will provide legal handouts that employers can use in an upcoming email to all of you. If you need assistance in getting your employees registered to vote, please contact Mary and she will provide assistance to you. Can We Give A Shout Out? On June 12, 2018, Sonoma County Supervisors will hear proposals from their staff on what roads and bridges to fix in 2019. Staff is going to recommend that funding from the County General Fund remain unchanged as budgets are adopted this week. Spending at the same levels as last year and this year was no “certain thing” as the County suffered through a huge increase in costs from last winter’s storms and both increased costs and loss of revenue from the October wildfire damages. It would be greatly appreciated if you took the time to say thanks to our five Sonoma County Supervisors who continue to do a great job in “staying the course” to fix our County roads despite plenty of reasons to back off from that commitment. The Chairman James Gore and the other Supervisors Lynda Hopkins, Susan Gorin, David Rabbitt, and Shirlee Zane all deserve to be acknowledged for their unwavering support. Please give them a “Shout Out”! June 5-Election Results Show Voters Agree-Fixing Our Roads Is A Priority!! Voters approved (with about 80% voting YES) Assembly Bill 69 which safeguards ALL of the tax revenue generated from Senate Bill 1 (passed into being last June, 2017). Also, voters approved Regional Measure 3 (with 54% approving) which will gradually raise bridge fares on seven Bay Area bridges (not the Golden Gate Bridge) and will raise $4.54 billion over the next 10 years for use on transportation infrastructure improvements in the Bay Area. This was an AWESOME RESULT FOR ECA AND ITS MEMBERS!! Thanks to all of you who voted and supported these two bills. Miracle League Ground Breaking Ceremony June 18, @ 10 am Lucchesi Park, Petaluma. Next week, June 11-14, Sonoma County will be holding their budget hearing department by department. I will be physically in attendance on behalf of all the ECA Membership. As the budget hearings loom, I am hearing that nothing will be proposed to be cut out of the General Fund amount of $12.1 million that is budgeted for 2018 expenditures. Also helping tremendously is the estimated $10 million coming to Sonoma County from the taxes raised by Senate Bill 1 that is helping us out. SB1 is making many of us quite happy but there are ominous “clouds” on the horizon. The repeal of SB1 effort has turned in their signatures needed to get on the November ballot. The other thing I hear is that polling for the repeal of SB1 is looking pretty good for the folks that want to repeal this tax on fuel that is helping us so tremendously. What can you do about it? First and foremost, vote for candidates who support SB1. Secondly, vote for AB69 tomorrow which would put the tax revenues into an untouchable Lockbox so those funds can only be spent on road projects that they were intended for. Other than that-we wait until the end of June and begin a “war against the Repeal of SB1”. Vote wisely my friends-there are several candidates out there running for Governor who clearly state they want to kill SB! And that would klll the extra $10 million going into our Sonoma County roads projects listed here. Do you want that? The Hard Part May Be Keeping What We Got! Ready for a fight? The signature gathering to get the repeal of Senate Bill 1 on the November Ballot is done and there appears to be enough signatures to qualify for the Repeal initiative. Sides are lining up, monies are being committed, and the biggest battle we have seen in California in many years is shaping up to be a “doozy”. United Contractors has set aside a $1 million “war chest” to stop the repeal effort. The League of California Cities does not want to see the repeal succeed either. On Tuesday, the ECA is hosting Petaluma Vice Mayor Mike Healy and Regional Public Affairs Manager for the North Bay Division of the League of California CitiesNancy Hall Bennett to speak to us about how we can help in fighting to keep SB-1 in place. This regular Board Meeting is being opened up to all ECA Members due to the importance of this effort. If you are interested in hearing about the effort to defeat the Repeal of SB-1 efforts, please come to our meeting on Tuesday, May 15, at 1000 Apollo Way in the training room, from 12-1pm. RSVP to mary@nceca.org. The ECA is busy working with other Associations on new regulations being imposed on rural property owners that have septic tanks and leach fields. Next week I will include the proposed new regulations that would, along with many other changes, impose a mandatory 5-year inspection on your septic tank and leach field that would include soil testing and add quite a few dollars to the cost of owning homes in the unincorporated areas of Sonoma County. We are actively trying to come up with a compromise to very stringent staff proposals that are going to the Supervisors on May 22, 2018. State Proposition Prop 69-YES-Prevents spending of Senate Bill 1 revenues from fuel excise taxes on anything but transportation funding. No cost. County Measure Regional Measure 3-YES-Raises bridge tolls on 7 of the Bay Area bridges (not the Golden Gate Bridge) to pay for transportation projects. Sonoma County pays approximately 2% of the bridge tolls and would get 4% of the benefits from projects in our region. Cost-bridge tolls would go up $2 every 3 years for a 10-year period. $4.5 Billion raised to be spent on Highway 37, Highway 101, SMART and other benefits to our Members and our residents in Marin, Sonoma, Napa, Lake and Mendo Counties. Thank you to President Brett Wilmes and our 2018 Board of Directors in voting to sponsor the April 11 Town Hall meeting where the Commissioners of the California Transportation Commission came to Santa Rosa and heard from “yours truly” and others on why they need to support funding of the Highway 101 widening completion. The Commissioners not only held their meeting here, but Suzanne Smith and elected were able to tour the Highway 101 construction, see for themselves the completed projects on Highway 101, and see what impact funding the last $121 million would have on the North Bay commute to the Bay Area. Once again-if you needed to find a reason to belong to the ECA, just look at the results of Highway 101 and the Leadership role the ECA played in getting us to this point. The completion of Highway 101 widening and HOV Lane construction is within reach!! Thanks for all your support ECA Members!